FC Barcelona superstar Lionel Messi has now reached 50 goals in 2017, beating the likes of Cristiano Ronaldo and Robert Lewandowski to the incredible milestone. 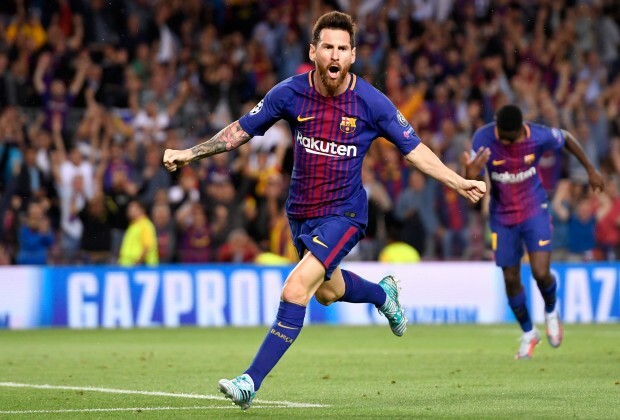 The Argentine, who has been in immaculate form in this calendar year, continued his rich vein of form on Wednesday night when he scored a free-kick against Olympiacos in Barca's 3-1 win in the UEFA Champions League. Messi's strike brought up his 50th goal in 2017, made up of 46 goals for the Catalan giants and four for Argentina. The 30-year-old's goal against Olympiacos also brought up his 100th goal in European competitions, a landmark he has reached in just 122 matches. Blaugrana manager Ernesto Valverde has praised the forward, insisting his goal records are testament to what they see every day. "I hope he reaches 200 goals this season, these numbers endorse what we see every day in training," he said, according to Marca. Closest to Messi's 50 goals in 2017 is Robert Lewandowski, who has scored 44 goals for club and country this year, while Ronaldo and Harry Kane are tied on 43 strikes. Useless penaldo ddnt do anything last season#FACT......the B'dor should be given to a player which has performed well the whole year regardless of how many trophies that particular player won.......ur penaldo only got form in the last 5 games of the season then u say he deserves this award.....only useless minds will say or think that.....nd if u definitely knw football u will knw that only Messi deserves the B'dor this year!! !